My blog actually started because I was told to…well kind of. I started a blog/diary when I went to Uni about all the stuff we got up to and then was told to build a website for one of my Uni projects. 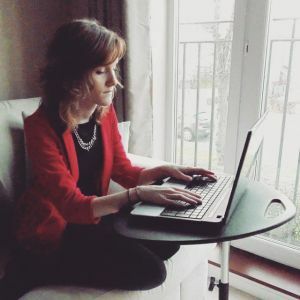 I was so pleased with it that I kept it going for two years before deciding it really needed to be revamped and I started blogging regularly. So now it’s been redesigned and more focused for the past six/eight months and I honestly think it’s an addiction! This is a guilty pleasure, but I get all snuggled up on the sofa with the lover – this could potentially involve the duvet – and watch Coronation Street or Eastenders – or both! A lot of things really, I’m quite quizzical and am always asking questions. But generally speaking it would be books and blogging and how people make a living from the two. If you could meet any famous person (dead or alive) who would it be? A hundred percent Norman Wisdom. He was much ultimate idol and he died a few years ago, just after I’d fallen in love with him. It completely broke my heart. I still have the newspaper articles about him when he died! Moths. Without a doubt. I am literally terrified. They’re just creepy! If you could live in a fictional world what one would it be and why? That’s a tough one. I’d probably have to say a Disney world. I don’t mind which one – any of them will do. I love signing and dancing, not that I’m very good at either and in Disney, I would be guaranteed to be good at both! Who is your favourite fictional family? I’d say the Griffins. From Family Guy. That’s a bit sad too but I can literally watch them for hours on end without getting bored. A wolf. I love dogs and always have done. In my first year at Uni, we went to a wolf sanctuary and got to take one for a walk. She was beautiful, basically a big dog with some nasty teeth but they’re just amazing animals and so free. Plus I’ve always loved the idea of travelling America so it would be a good animal to pick simply for that. If someone was going to make a film about your life who would play you and why? Maybe Emma Watson? I was always told I looked like her when I was growing up and I feel like we’re quite similar people in a lot of ways. 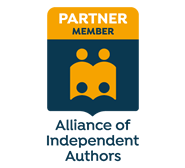 Being an editor ant one of the big publishing houses. I love writing books and I love reading them too, so what better way than to be involved in the creating process right at the very beginning? That’s all from me on the questions. The below blogs are my nominations! I’d love to be chosen for this award someday, what a lovely thing to do. Great answers, Natasha! Thanks Lizzie! I was struggling to think of who to nominate! Don’t know why I didn’t think of your blog – it’s always so pretty! Thank you 🙂 It was great sharing!